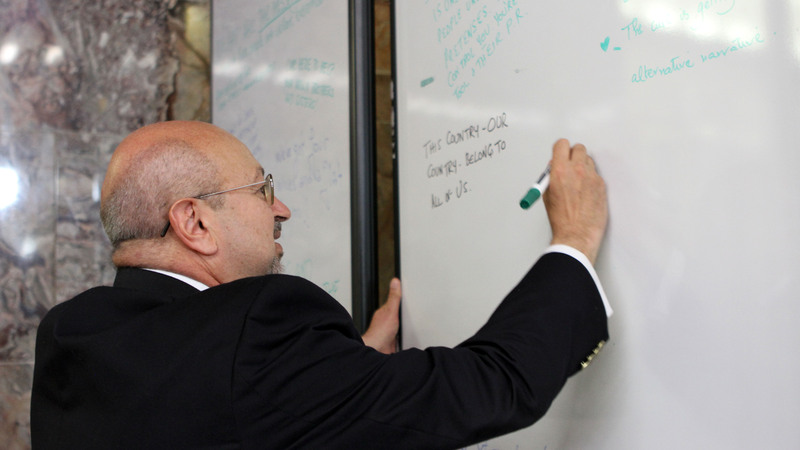 Questions about violent extremism: Why? Erin Saltman, Facebook, at a joint OSCE #UnitedCVE and Facebook workshop on challenging hate speech and violent extremism online, Vienna, 11 October 2017. 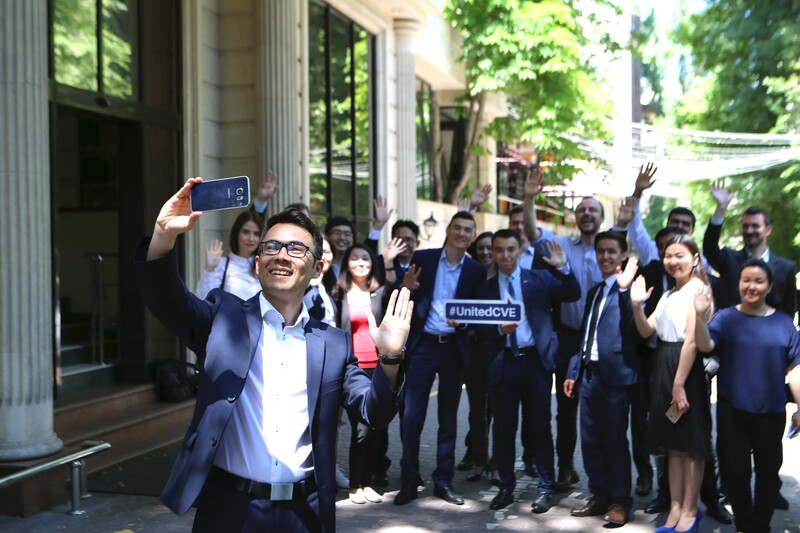 15 young experts came together for the workshop "Youth and the prevention of violent extremism: perspectives from Central Asia", Almaty, 11-13 May 2017. Professor Peter Neumann, Special Representative of the Austrian OSCE Chairmanship on Countering Radicalization and Violent Extremism, facilitating the discussion at a "Youth and the Prevention of Violent Extremism" workshop, Sarajevo, 24 April 2017. Former OSCE Chairperson-in-Office Sebastian Kurz, meeting participants of the “Youth and the Prevention of Violent Extremism. Perspectives from the Black Sea Region" workshop, Chisinau, 3 February 2017. 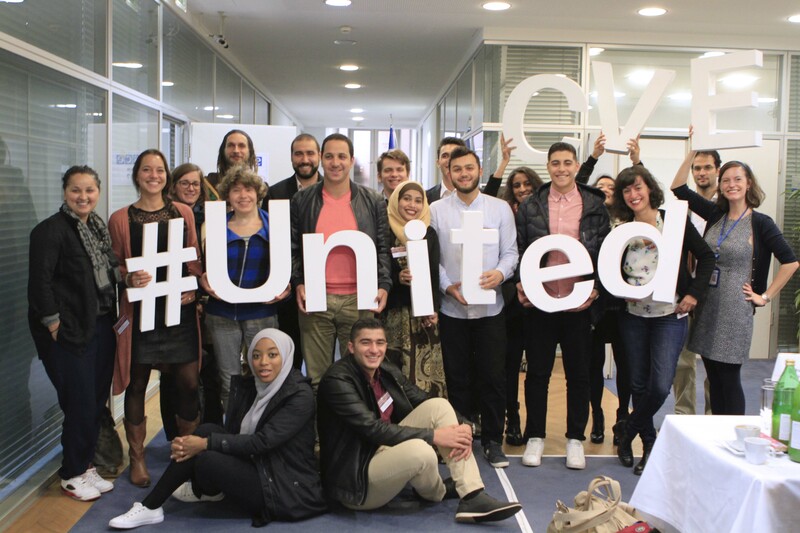 The “Youth and the Prevention of Violent Extremism” workshop on Western European Perspectives gathered in Vienna 16 youth representatives, activists, volunteers and young professionals and was organized by the Permanent Mission of Austria to the OSCE, Vienna, 4 October 2016. 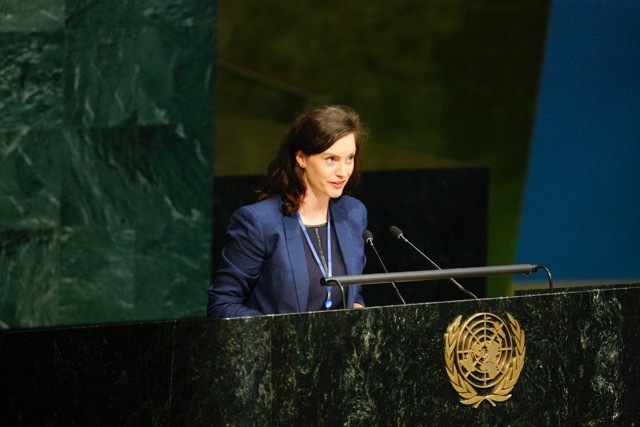 Anna-Katharina Deininger, Special Representative of the OSCE Chairmanship-in-Office on Youth and Security, delivering remarks on the OSCE support to the United Nations Global Counter-Terrorism Strategy, UN General Assembly, New York, 7 July 2016. 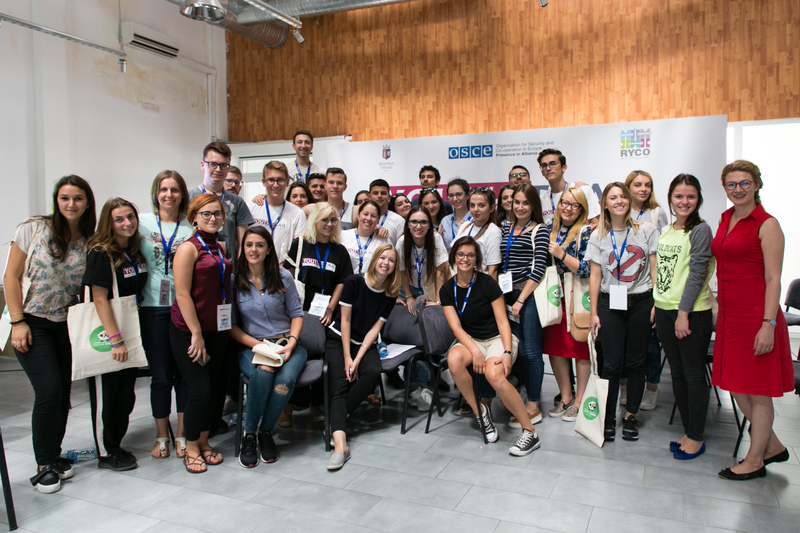 Dilfuza Kurolova, OSCE Youth Ambassador from Uzbekistan, and Riccardo Zennaro, OSCE Junior Professional Officer, Belgrade, 3 September 2015. Tom Wuchte, former Head on Anti-Terrorism Issues, and OSCE Youth Ambassadors - together, across countries and generations, against violent extremism, Warsaw, 25 September 2015. 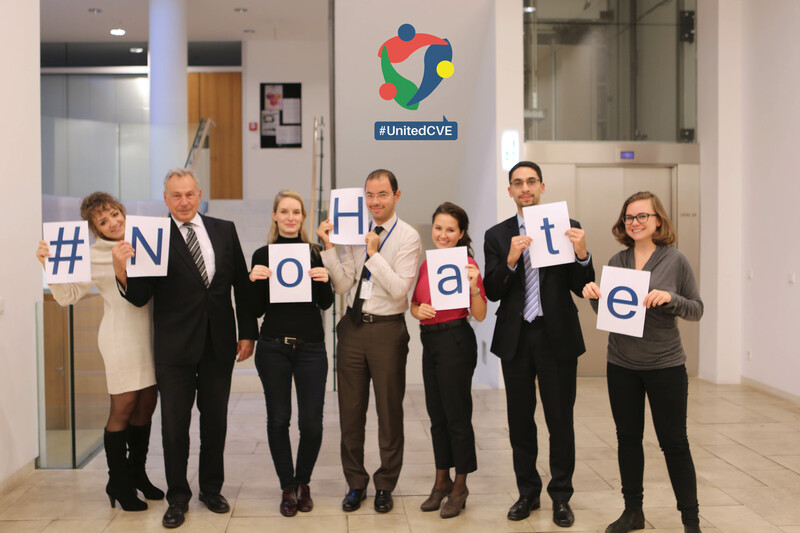 Ahead of the International Tolerance Day, members of the OSCE Transnational Threats Department and #UnitedCVE team supporting the #NoHate campaign, launched by the Super Citizens initiative, Vienna, 14 November 2015. 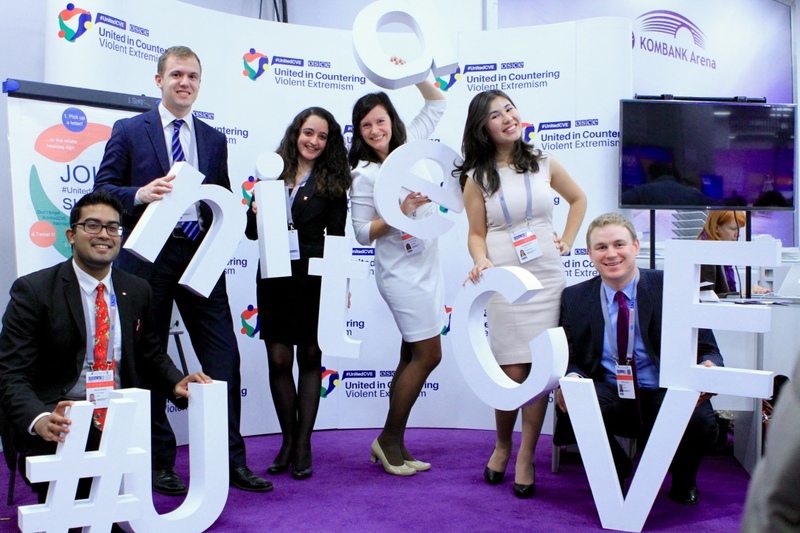 The OSCE Youth Ambassadors have been dedicated supporters and messengers of the #UnitedCVE campaign since its launch, Belgrade, 3 December 2015. Terrorism is a crime that has no justification, and it should not be associated with any race, ethnicity, nationality or religion. No state can counter violent extremism and radicalization that lead to terrorism alone: we must co-operate at all levels. 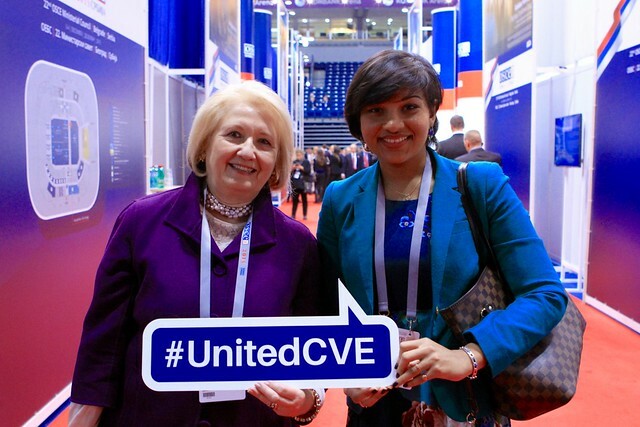 To underscore that we at the OSCE stand together as one in countering violent extremism that leads to terrorism, the OSCE Secretary General and the OSCE Serbian Chairmanship have launched the “OSCE United in Countering Violent Extremism (#UnitedCVE)” campaign. The OSCE’s 57 participating States and 11 Partners for Co-operation are determined to prevent and combat terrorism, in all its forms and manifestations, while upholding human rights and the rule of law. But we need everyone on board to make it happen. 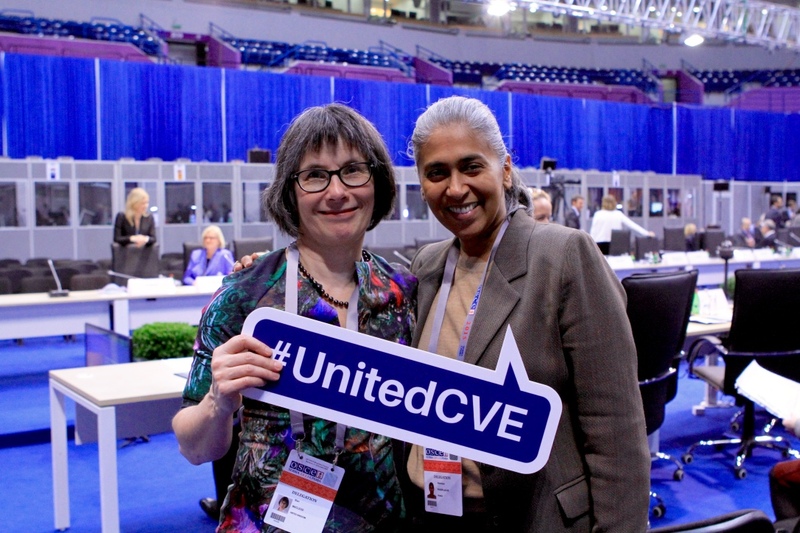 Let’s speak up together loud and clear for peace and security! Emphasizing the OSCE’s commitment to countering terrorism through a multi-dimensional approach, OSCE participating States adopted two declarations, among others, at the 2015 OSCE Ministerial Council. This is the summary of the most important recommendations that the workshop participants from Western Europe, the Black Sea region, the Western Balkans and Central Asia identified from their experience on preventing violent extremism. Chairperson-in-Office Kurz: We must listen to youth, empower them and make them part of the solution.